Does your company have a mantra? If not, stop what you are doing and develop one. Like, right now. It’s that important. 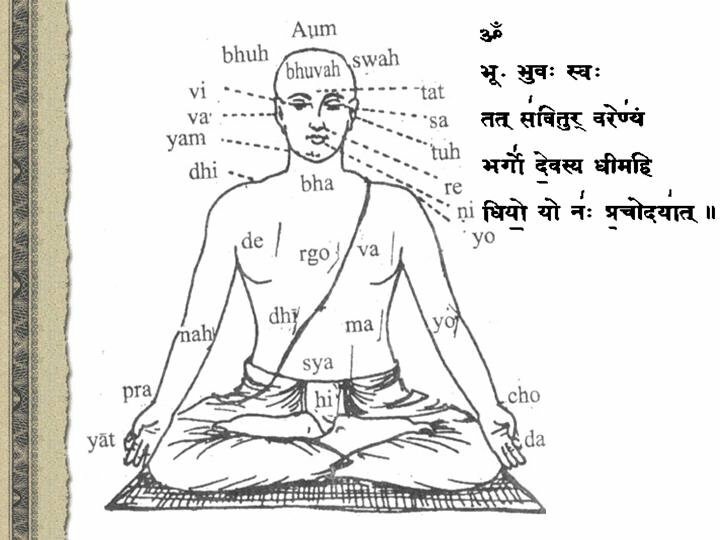 What the heck is a mantra? Good question. It’s the core purpose for why your business exists. If you’ve ever seen Simon Sinek’s TED talk, ‘it starts with why’, your mantra is the why. Let’s use Acme Electric Wheelchair company as a hypothetical. What Acme does: sell electric wheelchairs to non-mobile elderly folks. Why Acme does it: to provide freedom and empowerment through mobility. Alternatively, here is a real world example. At GiveForward we give people online fundraising pages to raise money for their loved ones’ medical expenses. This is what we do. 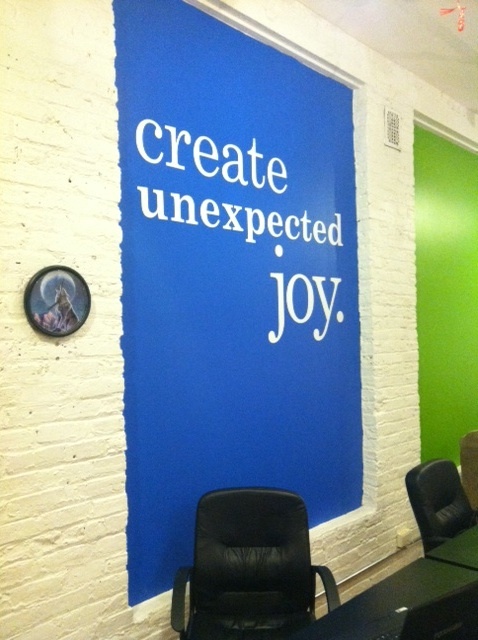 But our mantra is create unexpected joy. Creating a little bit of unexpected happiness for families during an otherwise dark period in their lives is why we get up and go to work every morning. It’s what makes work fun. It’s the core purpose that is driving us. Now that we have a basic understanding of a what a mantra is, I suppose the next logical question is why is it important to have a mantra? Having a mantra is important for many reasons but one of the more practical benefits is that it acts as a filter for business decisions. Once you understand the purpose for which your business exists, it makes it a lot easier to understand which path to take when faced with tough decisions. Once you have a mantra in place you simply ask: is this upcoming opportunity in line with our mantra? If the answer is yes, feel free to proceed. If the answer is no, pass on the opportunity. For example, here’s a recent scenario where we relied on our mantra to guide our business decision. At GiveForward, we used to have an email that automatically went out two weeks after someone donated. It would thank them for their donation and then would explicitly ask the reader to refer others to GiveForward. In exchange, we promised to give them a t-shirt if they did this. This email got marked as SPAM all the time and no one ever referred people our way. Now here’s the best part. Since we changed the email, not only have we stopped getting marked as SPAM, but we’ve actually started getting fan mail from people telling us how much they love the kitten video (duh…everyone loves kittens). The lesson here is that when you base your business decisions on a core set of values, it resonates with your fans. And if you’re trying to build a brand that is going to last for decades or even centuries, the reality is that your fans are never buying what you do. They’re buying why you do it – they are buying an idea, not a product. On the other hand, when you stray from your values and make decisions based on short term objectives, you end up alienating fans and getting marked as SPAM. At the end of the day, Mantra > SPAM. Be the mantra. Don’t be the SPAM. For further reading on these topics, check out Start with Why by Simon Sinek and Art of the Start by Guy Kawasaki. PS – Apologies for the lack of spacing between paragraphs. WordPress was not cooperating with me this morning! Another awesome post from you Ethan! Couldn’t agree more. Simon Sinek’s TED talk was one of the first TED talks I watched when we started this crazy journey to learn how to code two years ago. And everyday since then, I have thought about the “Why?” in what we are doing to know if we are on the right track. For us, learning to code and design is the not the end goal. Our main goal is to solve meaningful problems (and help others do so as well). This is why we teach. Thanks Mike. All the credit here goes to Mr. Sinek. My guess is that understanding your “why” is a big party of the reason Code Academy is crushing it right now.